(1) U.S. English Language Dubbed Version - everything is dubbed in English. (2) U.S. Unrated Version - half of the film is subtitled, and half of the film is dubbed (which is how it was released in theaters). (3) Original French Language Director's Cut Version - everything is in French. The film itself is the same no matter which version you choose. The only problem with choosing the Original French Language Director's Cut Version is that the subtitles are not entirely accurate. There were lines added in the U.S. English Dubbed Version, so if you choose to view the film in French, the English subtitles will sometimes display lines that are not being said by anyone. For the US theatrical release, the film was rated R by the MPAA. To achieve this, the film had to be cut heavily. More than one minute of violence is missing in different scenes. The Korean DVD is censored as well. Nearly 1 minute is missing in this version. Yes--it's loosely based on the novel Intensity by Dean Koontz. A soundtrack album featuring Fran巽ois-Eudes Chanfrault's electronic score was supposed to be released by Thrive Records in the United States, but it was ultimately canceled. On the composer's official Web site (http://personal.computer.free.fr/web/) a link is available to stream "Faustina Mauricio Mercedes Part IV." If you dig deeply enough through the coding, however, about 30 minutes of audio from the score can be downloaded. 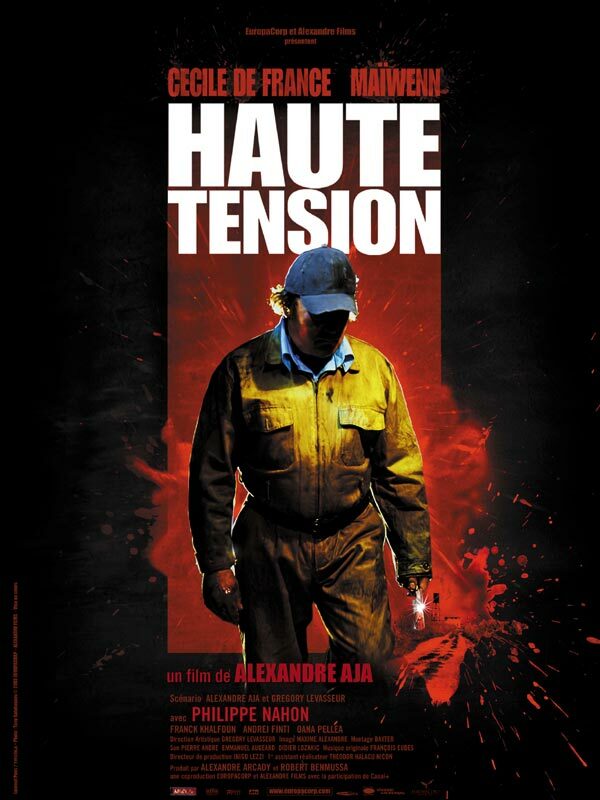 The 2005 US DVD of High Tension had to be retouched before its release. However, the content that had to be removed from the movie was not of a violent nature, as one might suspect. Instead, the Jack Daniel's logo was removed every time it could be seen. Unfortunately, we do not know why this happened and whether it was someone from Lionsgate or someone from Jack Daniel's who stepped in.